Seattle is flourishing with public parks and picturesque viewpoints, from Kerry Park’s jaw-dropping view of the skyline against Mount Rainier to Gas Works Park’s abandoned gasification plant overlooking Lake Union. 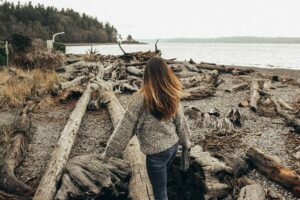 While those are some of the best views of the city, there are so many other destinations to take in the sights of Seattle and the surrounding environment. On your next visit, take the road less traveled and head to one of these seven locations with views that are just as captivating as well-known parks nearby. Located in West Seattle, Mee-Kwa-Mooks is a small park with mighty views. Bring your favorite soda, grab some food to-go and take a seat at one of the picnic tables among the grass. As you enjoy the company of good friends or family, admire the houses sitting against shimmering water, the passing boats and, on a clear day, the stunning silhouettes of the Olympic Mountains behind neighboring islands. And, if you want a closer look, cross the street to the Emma Schmitz Memorial Overlook and walk alongside the water. There are even steps that lead directly into Puget Sound where locals often mount their paddleboards or kayaks. Dip your toes in if you’d like or simply watch as the tide rolls in. 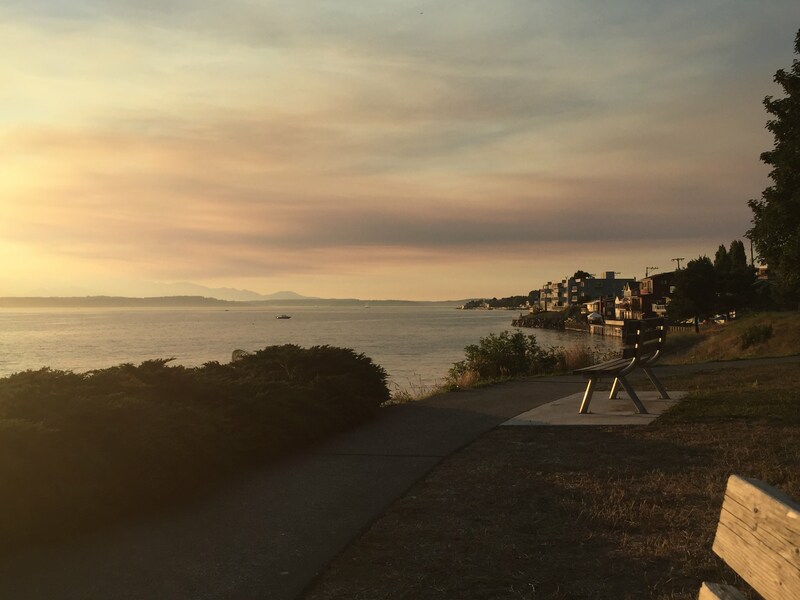 Nearby: If you head just a few minutes northeast, you’ll find Alki Beach Park and Seacrest Park. Both being popular hangout spots, visitors and locals can walk along the beach, shop at small businesses, nom on delicious grub and bask in gorgeous views of the city skyline. If lush greenery is what you seek, head 20 minutes south of downtown to Burien, where you’ll find Seahurst Park. Tucked away from the bustle of the city, Seahurst boasts short trails with beautiful vegetation, as well as rocky beach views and barbecuing stations. Bring a large group and grill out along the water, or post up in a more private location and read a book among the driftwood. You may even catch a glimpse of local marine life like orcas and seals. If you’re planning a trip to Whidbey Island, I highly recommend driving through Fidalgo Island on your way there or back and spending time at Mount Erie. Accessible via car or foot, Mount Erie offers sights that are sure to leave you speechless. 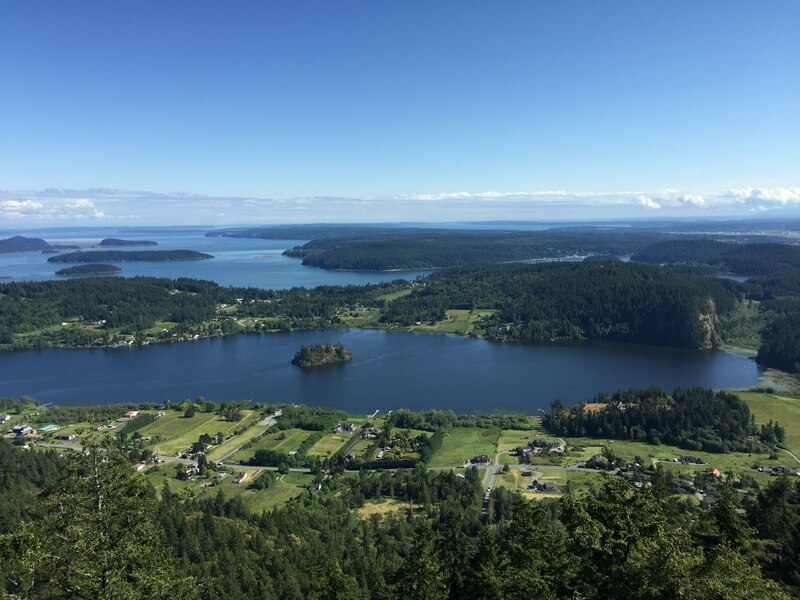 Whether you choose to hike the full five-mile trail or simply walk across the parking lot, you can catch panoramic views of Puget Sound and the nearby islands that will be hard to part with once found. Nearby: If you’re driving through Whidbey Island, make a pit stop at Deception Pass State Park—Washington’s most-visited state park located just 15 minutes from Mount Erie. Revel in the sights of turquoise water, rugged cliffs and a 511-foot tall bridge built back in 1935. If you want a glimpse of Seattle’s maritime roots, head to Sunset Hill Park. Admire the dozens of sailboats floating still among the marina as the Olympic Mountains line the horizon. And it isn’t called Sunset Hill Park without good reason. If you stop by this lookout as the sun slowly creeps away from the day, you’re sure to see a watercolor-painted sky. Bring your kids and a pair of binoculars, and then post up on the grass or at a picnic bench for a lovely evening with beautiful views. 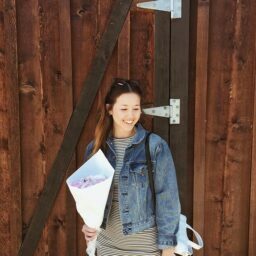 Nearby: Although not a viewpoint, Golden Gardens Park is a great destination just a five-minute drive south, toward Ballard, from Sunset Hill Park. Home to two wetlands, a short trail and a sandy beach, this area is perfect for a fun day outdoors that the entire family will enjoy. Sitting on the corner of Second Avenue South and South Main Street, the Waterfall Garden Park is a quaint piece of nature in the middle of the city. 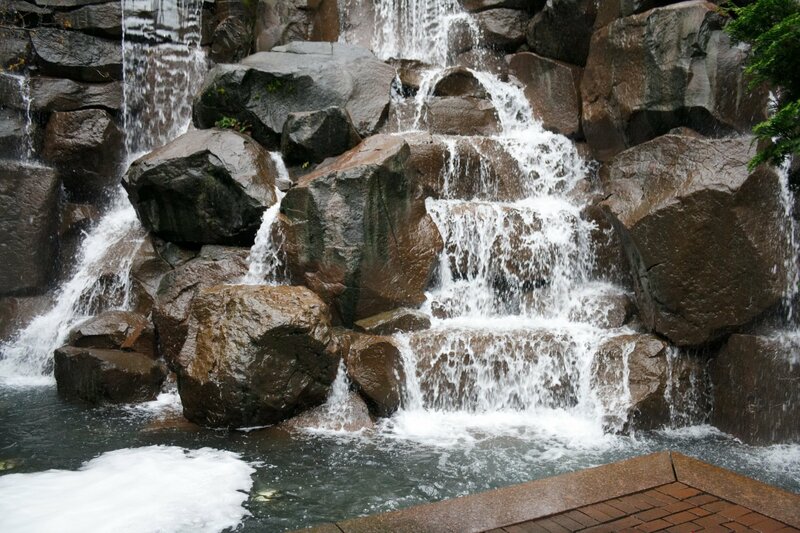 Step inside the indoor park and take in the peaceful sounds of a 22-foot-tall waterfall. There are benches and a couple of tables that surround the waterfall, which provide a comfortable, quiet retreat for those looking to relax and sip a delicious cup of coffee from nearby cafes, like Zeitgeist or Elm Coffee Roasters. Nearby: Jaunt just a few blocks over to Pioneer Square’s Occidental Park where you can play giant chess, challenge passersby in ping pong, or simply sit and eat a pastry from Grand Central Bakery as you relish Seattle’s gorgeous summer weather. Also in West Seattle, Lowman Beach Park is a pocket-sized, beachfront park with rocky shores and endless driftwood. Skip some rocks along the water, play a pick-up game of tennis, or enjoy a nice lunch in the grass. There are also a couple of swings to entertain the kids. Given its smaller size, Lowman Park boasts a very laid-back and private atmosphere—perfect for watching the waves crash without the company of crowds. Nearby: Head south 0.8 miles and find yourself at Lincoln Park. A favorite destination for locals living in the area, Lincoln Park boasts everything from soccer and baseball fields to an outdoor swimming pool and walking paths near the water. You can even watch as the ferries take passengers from the Fauntleroy terminal to the Southworth and Vashon terminals. Located in Beacon Hill, Dr. Jose Rizal Park is a popular viewpoint for photographers because it displays one of the most unique views of the city (definitely one for the ‘gram). 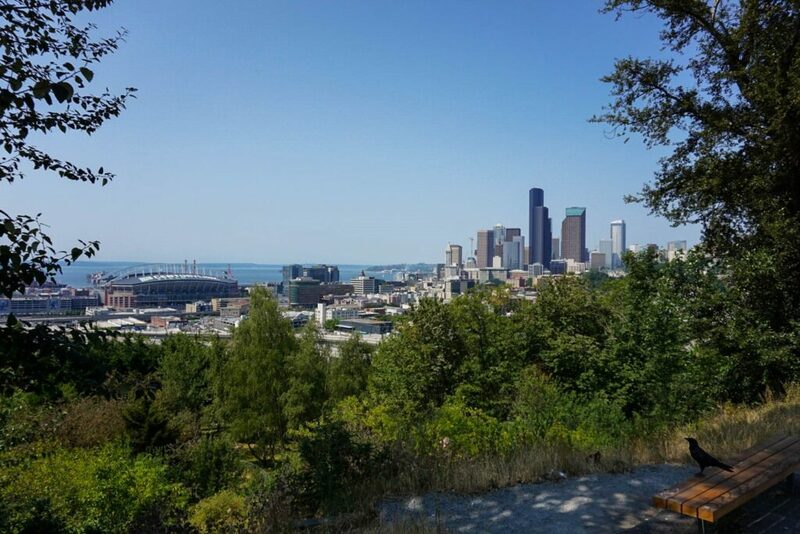 From the right angle, you can capture Safeco Field, CenturyLink Field, Elliott Bay and downtown—all in a single shot. The park also features public seating for picnicking, a covered pavilion, bike path and an off-leash dog area.